1-Way Security System features 1/4-mile range and two 1-way 4-button remote controls. If you already have a compatible Python remote start system in your car, the DSM200 or DSM250 will add SmartStart capability to your system. 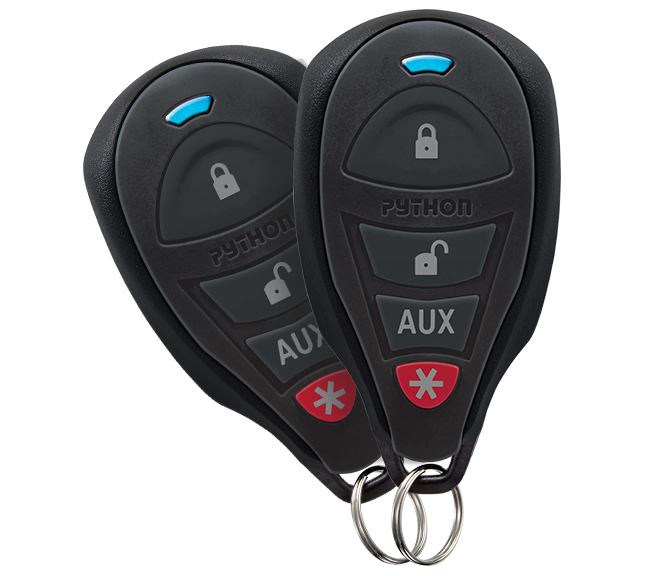 Now you can remote start or lock and unlock your car just by pushing a button on your Smartphone using the exciting new Python SmartStart app from Directed Electronics. The simple graphical interface gives you control over the following features of your installed Python remote start or security/remote start system: Lock/arm, Unlock/disarm, Remote Start, Trunk release, Panic or car finder. You can also control multiple vehicles - great for families! - and assign more than one user to control a vehicle. It's easy with SmartStart!